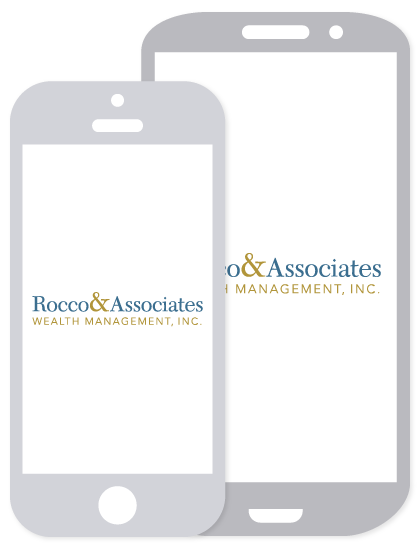 Trish's Millennial Minute - Student Loans | Rocco & Associates Wealth Management, Inc.
Did you know that approximately 70% of college students graduate with a significant amount of debt? In fact, the average student loan borrower owes over $37,000 in student loans by the time they graduate. 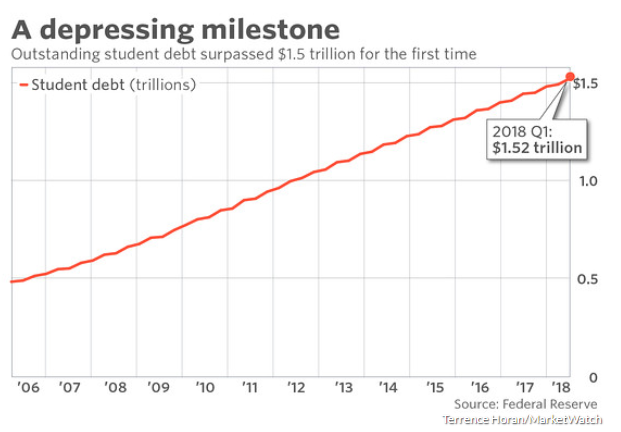 In the first quarter of 2018, outstanding student debt surpassed $1.5 trillion (as shown in the graph below). Unfortunately, with the increasing cost of higher education, student loans seem to have become the norm. So, how are students supposed to face this mounting roadblock to success? Have a plan in advance. Didn’t you figure out after freshman year when the better times to travel home were? Chances are you hit more or less traffic depending on the time of day you left. Likewise, create a plan in advance for paying off your student loans. You could start by asking yourself the following questions: Are your loans Federal or private? What is your current interest rate? Is it fixed or variable? Do you know what your loan term is? What kind of payment plan are you on? These may seem like basic questions, but they can help you identify if you’re on the best track to pay off your loans. I don’t know about you, but I’ve recently started using Waze because it’ll give me alternate routes and recalculate to help me avoid traffic. While navigating student loans isn’t quite as easy as that, there may be alternate options you aren’t aware of to help you manage your debt. For example, some private loans allow you to refinance your student debt, which can help you lock in a lower interest rate. Sometimes, you aren’t aware of an alternate route because you’re in unfamiliar territory. Reports like the U.S. News and World Report list of best student loans can help highlight alternative routes when you’re navigating private student loans. Don’t get dejected if it takes you longer to get there. In the financial services industry, we refer to debt as “good debt” and “bad debt.” Student loans are considered good debt because they helped you finish your degree(s) and (hopefully) get a job in your desired field. It can definitely be frustrating to look at your outstanding student loans and wonder, “Will they ever go away?” The Consumer Financial Protection Bureau, the standard repayment timeline for student loans is 10 years, but you can extend your payment term to up to 25 years if you have more than $30,000 in federal student loans. So the good news is that this, just like 5 o’clock traffic, will clear up. At Rocco & Associates, we consider your full financial life when helping you plan for the future. Student debt shouldn’t hold you back from having a healthy financial life. As always, if you have any questions, please do not hesitate to reach out to our office!